The crown prince Mohammad bin Salman’s recent announcements during his opening speech at the Future Investment Initiative aim at acutely reforming Saudi Arabia. As part of his program “Saudi Vision 2030” displayed in April 2016, MBS’s declarations appear in a climate of increasing tensions between Saudi Arabia and Iran. The current crisis in Lebanon reflects this situation and places the Kingdom at the forefront of the international stage. How should we interpret these announcements? What can be expected of this project to remodel the country? 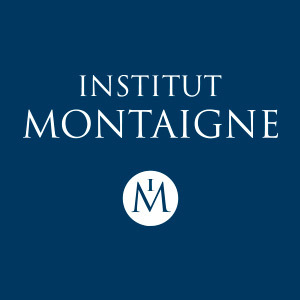 Hakim El Karoui, senior fellow to Institut Montaigne and author of the report A New Strategy for France in a New Arab World published last August, shares his analysis on this matter. To what extent is the diversification of the Saudi economy achievable in the short term? Under which conditions? Saudi Arabia suffers, as often oil or mining States do, from the “Dutch disease”. Prices are high and incentives to work low because the State provides a strong annuity to its citizens. The increase in export revenues triggers an appreciation of the currency, which harms the competitiveness of other exporting sectors. The impact is even stronger when the rent from oil diminishes, or even disappears: the money derived from oil exports is reduced while other industries fail to compensate, as they never achieved the necessary productivity gains and also suffer from an excessively strong currency that prevents them from exporting efficiently. Besides lowering oil prices, Saudi Arabia faces a second challenge: its population size. The Saudi GDP per capita is equivalent to that of Portugal or Slovenia. With 30 million inhabitants, Saudi Arabia has become a country with an excessive population. Now that this diagnosis has been shared, the strategy that will allow to cure this “disease” needs to be established. This is when challenges appear: changing the Saudi economic model implies some prerequisites that can challenge a population used to live out of an annuity, which has created a disincentive to work. It would first be necessary to reduce public subsidies in order to introduce prices closer to production costs. It would also require an increase of the workforce, including for women, and, above all, of the Saudi nationals’ labor productivity, which is very low today. The budget deficit, which reached a level close to 15% of GDP in 2017, must also decrease. Finally, it is important to foster investment in productions aimed for local consumption. What is your take on the NEOM investment project and on Saudi Aramco’s IPO? The announced numbers are inspiring to all investors: 1.3 trillion dollars for Saudi Aramco, and 500 billion dollars of investment in the NEOM project of building a new city. However, the process of stock exchange listing of the national oil company is very complex as it enforces a clarification of this public company’s management, though it is not used to accountability. Although Saudi Aramco’s foreign IPO is not yet final, major international stock markets are engaging a full-scale effort to attract the company: London Stock Exchange announced last July its project to create a special segment allowing Saudi Aramco to benefit from the prestige of a premium listing, granting it access to the FTSE index, without obligation to meet minimal floating and governance standards. Indeed, Saudi Aramco is expected to float only 5% of its capital, although according to current London Stock Exchange regulation, a minimum of 25% is required to access premium listing. Because of the lack of transparency, investors are suspicious towards this regulation flexibility. Even though Saudi Aramco’s listing could allow for a clarification on its value, which fails to be accurately taken into account in the national wealth evaluation, if shareholders require a standards-compliant management, trading prices could fluctuate. When it comes to NEOM, the project - grand, cosmopolitan, and lacking a strong identity - is largely Gulf-influenced. The question of who will finance it is nevertheless crucial as the Saudi State has tremendous needs and certainly lacks the ability to spend 500 billion dollars in 15 years. How should we understand the crown prince’s demonstrated willingness to return to moderate Islam? Is a real change possible? It is, according to me, the most important matter. Challenging wahhabism as he does implies going against the intimate alliance formed between his ancestor Muhammad bin Saud and the Hanbali preacher Muhammad ibn Abd al-Wahhab in 1744. It also entails challenging the more recent alliance between the Saud family and the Al-Sheikh family, heirs of the preacher. It thus implies the shattering of the holy alliance that allowed for political stability, as justified by religious despotism. Through his announcements, Mohammad bin Salman frightens a political-religious system that is more accustomed to consensus than authoritarian power. By tackling various issues at once, both internal and external - in Iran, but also in Yemen through a war with awful consequences, in Qatar, and now in Lebanon -, he creates an access to power for himself that he wishes to consolidate by promoting national cohesion against external threats. This is a risky strategy. It may however be necessary in order to ensure that the Saud family resists the profound and fast-paced transformation hitting the Saudi society today. Louvre Abu Dhabi: So Much More Than A Museum!